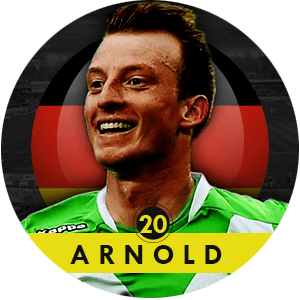 Having already run the show in Wolfsburg’s recent seasons at the age of 19, Maximilian Arnold has to overcome difficulties in an even stronger team. However, he is still the greatest talent of the Bundesliga runner-up, and is capable of showing his ability in different positions. Mini-Analysis: After his debut in November 2011, Arnold has become a more mature midfielder. His great versatility is a more important part of his role. Ever since he was called-up for Wolfsburg’s first team, the 20-year-old has played on almost every midfield position within their 4-2-3-1. He started as winger with outstanding technical skills, but lacked a bit of the right decision making. However, Arnold displayed a great vision and a necessary sense to understand different situations on the pitch in the last twelve months. You can find a detailed Scout Report on him here. Looking back: Having mostly played as a no. 10 or on the right wing, he made 26 consecutive starts in the last season. Therefore, Wolfsburg’s former playmaker Diego was forced to sign with Atlético Madrid. But Arnold has problems to find his place in the team at the moment. He played partly as balance player in centre midfield behind Kevin de Bruyne. The Belgian is the undisputed key player of Dieter Hecking’s side at the moment, while Vierinha and Ivan Perišić seem to be the first choices on the wings, and the ambitious new signing Aaron Hunt claims a starting spot as well. Nevertheless, Arnold has made 14 appearances within all competitions – seven times off the bench – and contributed two goals so far this season. He earned a call-up to Joachim Löw’s national team right before the World Cup, but is a regular with the under-21 squad. When you’re a young footballer with promise, often times you’ll suffer from delusions of grandeur…seeing yourself making a storied jump to a massive club in Europe and turning into your nations next best and brightest. In the case of Lucas Piazon, he may have to find another route to critical acclaim that does not revolve around the pitch at Stamford Bridge. 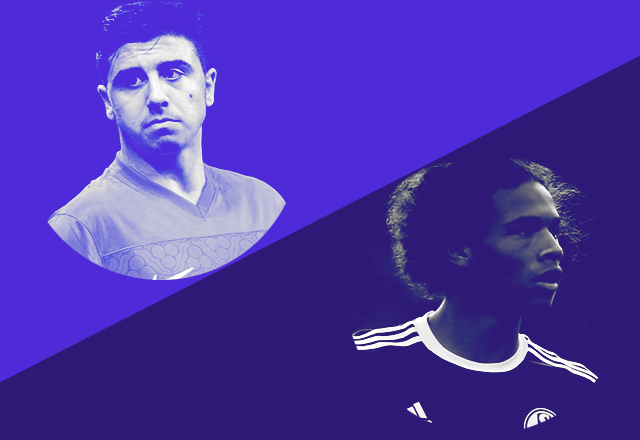 Mini-Analysis: When you’re abilities draw comparisons to Oscar, there should never be questions surrounding your future – Piazon not only resembles his compatriot physically, but in footballing terms as well. Graceful on the ball, technically gifted and with a superb ability to pick out a pass as well as find the back of the net, the Sao Paolo-born attacking midfielder seemingly has it all. It will not hurt his cause one bit that he can be slotted on either flank, behind the striker or at striker as well, and his influence during both the run of play as well on set-pieces makes him a multi-faceted threat that any attacking move should revolve around. His audacious match-winner against SV Hamburg (insert link here to the goal) offers but a taste of his ability, but its that same ability that is now running a risk of falling by the wayside unless he finds a club to fit in…and that club may have to be outside of England. Looking Back: A move to Chelsea as an 18-year old in the summer of 2012 seemingly put Piazon on the track to something bigger, but to date he’s only made one appearance for the Blues. A season-long loan spell to Eredivisie side Vitesse Arnhem last season saw the Brazilian set the world alight – 11 goals and 8 assists in 29 appearances (24 as a starter) lead the club in both offensive categories, helping FC Hollywood aan de Rijn to a 6th place finish. Another season-long spell away from Chelsea this season saw him shipped to Bundesliga side Eintracht Frankfurt, but Piazon’s contributions have paled in comparison to the season prior. Only six starts and four appearances off the bench in 15 matches have yielded him a single goal and a host of inconsistent performances. 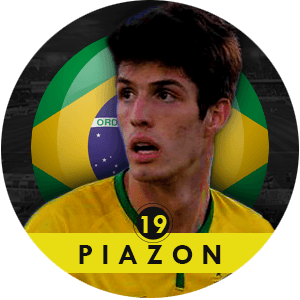 With Blues boss Jose Mourinho looking to test Piazon’s ability in a league of higher standing than what is on offer in the Netherlands, the young Brazilian has thus far failed to make the jump successfully. Gerard Deulofeu is a 20 year old Spanish forward who primarily plies his trade as a winger currently playing for Sevilla on loan FC Barcelona. Born in the Catalonian village of Riudarenes, Deulofeu joined the famed La Masia academy at the tender age of 9 in 2003. Impressing the club’s coaches he rapidly rose through the ranks on the back of his exceptional talent and has been billed as yet another future great to come out of Barcelona. Mini-Analysis: Deulofeu is a tricky winger in the Robben/Cristiano mould blessed with an exceptional dribbling ability, close control and pace he has sufficient armor to trouble the best of opposition defenses with his offensive play. But there is an aspect of his game for which he is often and justifiably criticized and that is his selfishness. The 20 year old often goes too far with his dribbling often running into a cul-de-sac, or takes too long to feed a better positioned team mate in search of personal glory. Here’s a detailed Scout Report on Gerard Deulofeu. Looking back: In a surprise move Barcelona management decided to loan him to Sevilla, media reports at the time suggested Enrique’s apparent dissatisfaction with his attitude as the reason for the move. Under Unai Emery he has featured in nine matches so far, six as a starter. Starting on the right wing he has been impressive with his offensive play but is still dogged by the problems of the past namely his distribution and unwillingness to track back to help in defense which has meant additional pressure on the right back. In his truncated appearances he has provided 3 assists and one goal to lead Sevilla’s assist table for the season, two of which have been sumptuous free kick deliveries indicating improvement in his dead ball abilities. Young technically gifted and naturally intelligent players have been coming through from Belgium thick & fast. While this added attraction from all corners highlights the quality in the country, it’s easy to get diluted in an emerging market of this sort. Julien De Sart thus has a difficult job on hand, but he has certainly caught our attention. Mini-Analysis: When documenting and listing down the best young players, it’s easy to be blinded by spectacular moments. While most youngsters rise to world-wide fame as a result of their goals, it’s easy to over-look players who showcase pure football intelligence. Julien De Sart falls into this category. Not one to display glamour and the spectacular, the Belgian takes his role in midfield well, displaying intelligence and a surprising calmness on the ball. While usually allowed to play free from much pressure in his deeper role, he is able to rotate possession convincingly while showing a generally impressive intelligence on and off the ball, given his young age. He is able to control the tempo of games, and dictate the play while his passing (again more simple than spectacular) is effective. 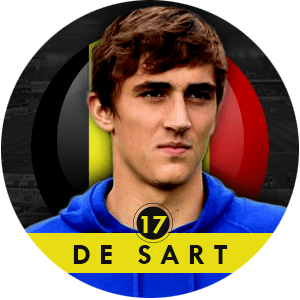 Looking back: Julien De Sart was part of the Standard Liege side that impressively finished top of the Belgian Pro League in 2014, only to lose to Andrelecht in the play-offs that decide the top division of the country. Though this was a bitter pill to swallow for the club, it was still a memorable year for the player, having grown into his first-team role and going on to establish himself. Monaco picked up River Plate’s emerging attacker Lucas Ocampos for €15 million when they were still in France’s second division. The player was just 18 at the time, and Monaco had beaten interest off Manchester City, Manchester United and Barcelona when they successfully landed him. Two years hence, Ocampos has become an integral part of Ranieri’s Monaco side which looks to be competing at the highest level. Mini Analysis: The Argentinean operates primarily as a left winger but has been used in the zola zone as a traditional number 10, and further backward in the midfield as well. He is however, at his threatening best, operating on the flanks. The 20 year old stands at 6 ft 2 inch, and his big stature gives him a good physical edge as he uses both his physicality and his pace and dribble to bully defenders. Incredibly fast, Ocampos can burst past defenders on the flanks, before cutting inside himself or feeding passes in to teammates. His vision and ability to link up with other attackers make him a great asset to have in a team. 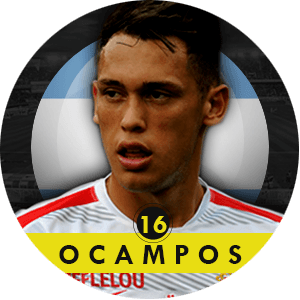 His skills on the ball are an attractive feature of his game, and one often sees Ocampos attempt a dazzling stepover, when a simple sideways pass could get the job done. This might be unnecessary, and with time and maturity, the player would minimize this, but for now, this makes him delightful to watch. You can find a detailed Scout Report on him here. Looking back: Ocampos has been a key player for Monaco for two whole seasons now, and has to do the same in his third year with the club. Raneiri has used him throughout the 2013-14 season, but his appearances mostly came from the bench beginning from January this year. This season, the 20 year old has made 20 appearances for Monaco in all competitions, with six of them coming in the Champions League and the remaining in Ligue 1. The Argentinean has one goal each in the league and the Champions League. Ocampos has clearly been an important member of the Monaco squad this year, making around forty appearances this calendar year. A lone bright spot in a nightmare season, Belgian winger Adnan Januzaj has enjoyed a meteoric rise in the last one year. Entrusted with the number of club legend Ryan Giggs, Manchester United fans around the world will hope this teenage prodigy reaches the same heights the legendary Welshman did. Mini-Analysis: In an age where raw pace has become so important, Adnan Januzaj brings a different approach to the art of beating a defender. The Belgian is blessed with grace and poise; he seems to glide around the pitch, sucking defenders in before leaving them in his wake. Despite his youth (or maybe because of his youth), Januzaj exudes confidence and always backs himself to beat his man, maybe to a fault. 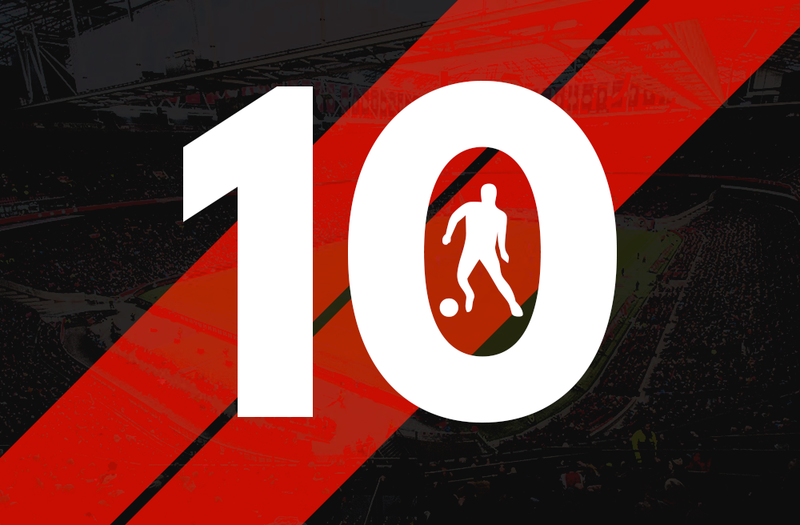 While he has started his career on the wings, many see Januzaj’s future in the number 10 role, as the 19 year old has the vision and the passing ability to open up defenses. Combined with his knack of opening up space for himself and his ability to beat defenders, Januzaj has the weapons in his armory to become a complete attacker. With time, his selfishness will be fixed and his decision making will improve; however, the Belgian does need to work on finishing, which is a noticeable weakness in his game. You can find a detailed Scout Report on him here. Looking back: Adnan Januzaj will likely be seen as one of the only successes from David Moyes’ miserable reign as Manchester United manager. The Belgian burst onto the scene with a brace on his full debut, and hasn’t looked back since then. For periods of last season, Januzaj was the Red Devils’ talisman, a heavy burden for a teenager. To his credit, Januzaj bore the brunt well, but perhaps with fear of burnout, he featured less and less in the second half of the season. In the build up to the World Cup, Januzaj committed his international future to Belgium and travelled to Brazil, playing one group game. This season under Louis van Gaal, Januzaj has featured less, a consequence of the new wingerless system adopted by the new manager. ‘Debutant of the Season’ at your Talent Radar 2013/14 Young Player Awards. Mohamed Elyounoussi spent his youth career first at Sarpsborg FK and then at Sarpsborg 08. He made his first senior appearance at the Norwegian League in 2011 against Odd Grenland. 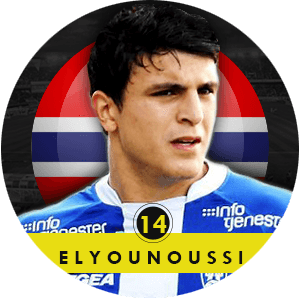 Elyounoussi spent three valuable years there and racked up over 60 league performances before moving to Molde in 2014. Football does seem to run in Mohamed’s blood, being related to Norwegian international Tarik Elyounoussi. Mini-Analysis: Elyounoussi’s primal instincts are to get as far up as possible on the pitch. Comfortable with the ball at his feet and when under pressure in and around the box, Elyounoussi brings in his play a lot of creativity to find spaces and is confident enough to take a shot at goal. With a trick or two in his pocket, the youngster makes ample use of his ability to accelerate very quickly to get past players. The lad can also take a short from distance and has shown his capability from dead ball situations. Looking back: The 2013/14 was quite a spectacular year for the Norwegian. Elyounoussi made 30 appearances in the league, scoring on 13 occasions and contributing 4 assists. The youngster averaged around 84 minutes per game, which tells you much about how the club believes in him. Early 2014 also saw him make appearances for the national team, further highlighting his potential. Max Meyer spent 5 years as a part of the MSV Duisburg youth academy before shifting to Schalke 04 in 2009. He spent the next three years with Die Knappen’s youth team before making his way to Schalke 04 II in 2013. In the same year, he leapt into Schalke’s first team and has been a regular there, ever since. His performances with the Schalke U19s earned him praise from Schalke’s general manager, Horst Heldt who rewarded him with a professional contract until 2015 which fabricated a gateway to the senior team. Mini-Analysis: The German is quite an exciting player to watch. He is an excellent dribbler and is very comfortable with the ball at his feet. Very composed in the final third and when under pressure, Meyer has the ability to pick out the right passes at the right moments. His quick turns make it very difficult to defend against him; this particular asset opens many doors in attack as he can switch the direction of play in an instance. While he isn’t the strongest player out there, he sure does make up for it with his pace and comfort in running at defenders. Off the ball, Meyer is a very intelligent player who gets into clever positions in the attacking third, away from his marker and in to open spaces to receive a pass and carry forth the play. Another stand-out quality he possesses is his excellent awareness of his teammates’ positioning around him. Looking back: Meyer’s performances has consistent performances has lead to a steady and steep rise in his market value. 2013/14 saw him appear 42 times for Schalke which speaks volumes of how much trust and faith they have in his abilities. Out of those 42, 30 of them were in the league where he performed exceptionally with 6 goals and 4 assists in total. This campaign, Meyer has already featured in 20 appearances, contributing 3 goals and an assist. His track record for the youth teams have started to replicate in the senior team; at this point we can only expect more great things from the youngster. Ozan Tufan’s development restricted due to injury on his foot sole. He missed Coca Cola U-15 leagues in Turkey and some doctors even said he’s never going to be able to play football again. After, he leaved the injury in the dust and shined as a right back and got a chance to play at first team. Mini-Analysis: Although he firstly shined as a right back and has potential to become a decent right back, his natural position is defensive midfielder. Currently, he plays as main holding role at Bursaspor alongside with Fernando Belluschi and with the decent vision, pass ability, intuition and of course successful take on’s he has potential to become a part of competitive Bundesliga, La Liga or Premier League team. According to OOTB writer Fırat Aktav, Ozan can become a decent box-to-box midfielder, as well. You can find a detailed Scout Report on him here. Looking back: At the age of 19, Ozan worked with 4 different managers in one and a half season. That is the ulcer of Turkish football. Since the beginning of 2013-14 season he played enough amount of games at first team, although Christoph Daum didn’t give him a proper chance, Bursaspor’s current manager Şenol Güneş gives him a chance to showcase talents regularly. He is one of the main midfielder at Bursaspor squad rotation. Despite making his senior debut with his parent club Atletico Madrid over two years ago, the diminutive midfielder is only now getting his chance to play regularly on-loan with FC Porto. The 20-year-old is the latest in the line of a seemingly endless pool of quality midfielders coming out of Spain. Mini-Analysis: Blessed with an impressive range of skills and vision, he is a phenomenal talent and one that many pundits are predicting will have a very bright future with La Roja. Óliver, as he is more commonly known, is two-footed and is primarily known for his dribbling skills. He is good one-on-one in particular, often using his quick feet to move around defenders. He is a versatile player as well. Óliver can create attacks from a deep role because of his impressive ability to deliver long balls. But he could also play further up front, delivering decisive passes around the box. You can find a detailed Scout Report on him here. Looking back: Óliver struggled to affirm himself in Diego Simeone’s line-up at the beginning of last season, often coming on as a late-game substitute when the result was not in doubt. In January, he suffered a dislocated shoulder in a match against Rayo Vallecano. However, La Liga club Villarreal still agreed to take the youngster on-loan for the rest of the season. Upon returning to action, he started several matches before returning to the bench. In the summer, he was loaned to Portuguese club FC Porto on the recommendation of their Spanish manager Julen Lopetegui. Lopetegui was well aware of the young man’s talent. He coached Spain’s winning side at the Under-19 UEFA European Championships in 2012, a team that Óliver was also part of. Another shoulder injury in late August caused him to miss a few matches. But he has been an integral part of a revival project at Porto. In October, he was nominated for European football’s Golden Boy award.